Let’s take a look how to monetize your Twitch stream to make money & also some tips on how to maximize your affiliate link click-through rate. Here is a list of ways you can earn from through Twitch. Alright, now let’s go over what each of these means with examples. & also tips to help you maximize your earning potential from each of these. 5 Do I Have To Have A PayPal To Get Paid From Twitch? There are tons of affiliate programs out there through numerous brands. These aren’t connected with Twitch, they are something you sign up for outside of Twitch. Each company has a different process for accepting users into their affiliate program. Some accept everyone who signs up, while others may be stricter & require you to have a certain amount of viewers. The commission rate, payout time frame & everything is determined through that company you’re the affiliate for. Most affiliate programs have a good guide for everything you need to know. 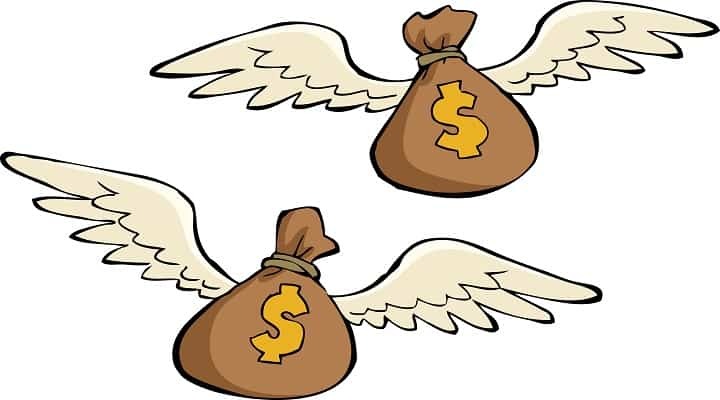 Like where to find your affiliate link, using banner ads & where to see your earnings. Also, each program has their own set of rules on what’s expected/allowed from people in their affiliate program. The banner ad helps draw more attention, especially if the picture has wording on it that might entice others to buy something like a discount code. The final thing is to place your affiliate links towards the top of your channel info section. Something that blew me away when I first heard about Twitch was watching how often & how much people would donate the streamers they watch. I admit that I underestimated how much of a community type of bond that you can create with your viewers. Unfortunately, there are lots of other streamers who think setting up a donations button would be a waste of time. Here is a look at some the top donator for one streamer I follow. He doesn’t have a huge following (yet) but the viewers he doesn’t have are loyal & he does a good job of connecting with them. I erased parts of the names just for privacy reasons. 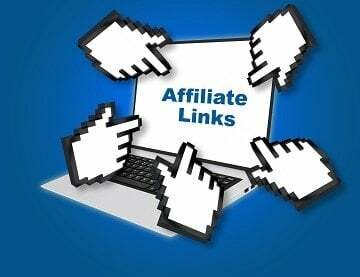 To become an affiliate, you have to meet certain criteria. If you need help meeting viewer/follower limit check out our Twitch channel growth article. After getting into the affiliate program this opens up a few different avenues of how you can earn money. To make money through Twitch’s subscription button, Twitch bits, or game sales on your twitch channel you need to be either a twitch affiliate or partner. Affiliate is the easiest to get into so we’re going to focus on this for the sake of this article. Subscriptions will let a viewer sub to you for $4.99 (there are higher $ sub amounts when partnered), the $4.99 is automatically done every month (unless canceled of course). Which leaves you getting around $2.50 a month per sub. I was going to try to give you an explanation on what Twitch bits are & how you can earn money from them but would be a lot to get into. Twitch does a good job of explaining about them in their article, so check it out if you’re wanting to learn more about them. A relatively new option that Twitch has brought to the table is for their affiliates/partners to earn money through game purchases being made through their channel. Affiliates earn 5% commission on the sale of games through Twitch. As an affiliate you can get paid whatever you’ve earned after 60 days, partners can get it in 45 days. The 60-day payout wait helps them deal with any fraudulent issues. The is a pretty common timeframe for affiliate payouts so I wouldn’t stress too much about it. Do I Have To Have A PayPal To Get Paid From Twitch? Even though most of us do have a PayPal account there are still others who would prefer not to have to use them to deal with their money. Twitch offers multiple payout options. I’ve listed the fees for each of these beside it. These fees may change in the future so be sure to check on their site. As you can tell by the fee rates, the best option to keep as much money for yourself would be doing direct deposit to your bank account. This is actually super simple to setup & this is how a lot of companies pay their employees nowadays. However, it’s nice that they give you a good bit of options to choose from. Please note that this is information is just from Twitch’s payout system. If you’re using affiliate links on your Twitch from 3rd party affiliate programs, then they have their own payout system/fees. Everything I’ve mentioned in this article is focused on being monetized through Twitch or through outside affiliate programs where people purchase stuff through your affiliate link. You can also monetize your Twitch channel through the way of being Sponsored by 3rd party brands. This is similar to being an affiliate with these companies, except the way you earn & how much you earn varies quite a bit. Just wanted to throw that out there as that is an option, however, it’s usually a lot more difficult to obtain a sponsorship vs just joining an affiliate program. I’ll end this article here if you have any questions just let me know in the comments below.